Just an easy day trip from Regensburg by car or by train, there is a small quaint village set among rows and rows of hops fields that sits along the Abens River. This region is the largest region for growing hops so it is no surprise, that set in the center of town is the Kuchlbauer Brewery which specializes in producing Hefeweizen beers. Founded way back in the 14th century, this brewery is among the world’s oldest breweries. 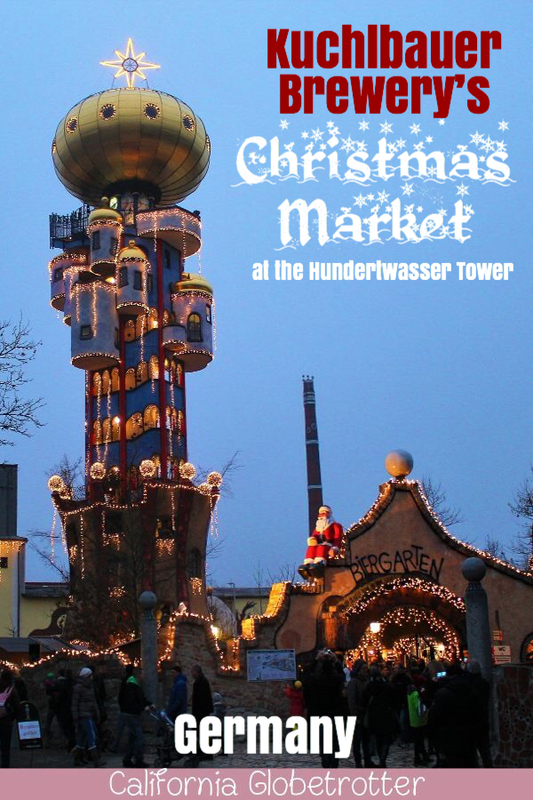 Love Huntertwasser’s work & Christmas Markets? PIN IT FOR LATER!! 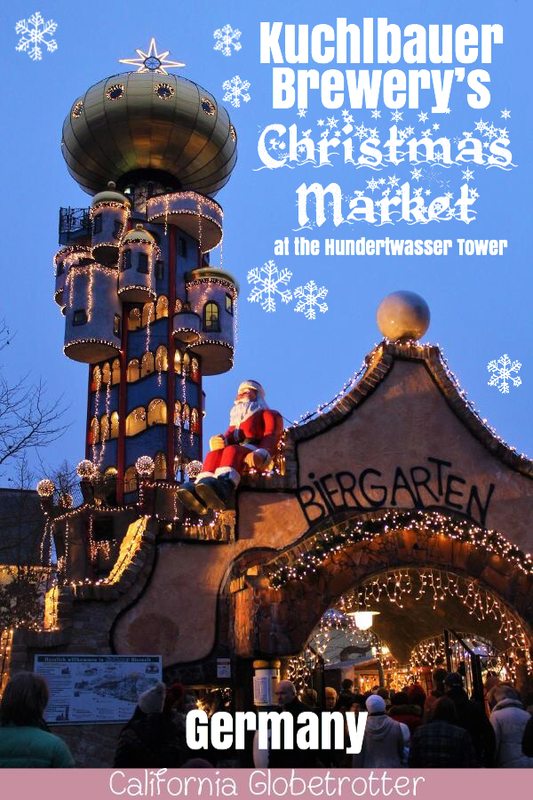 During the Christmas season, the Hundertwasserturm (tower) is decked out in beautiful white Christmas lights with a market surrounding the base of the tower. 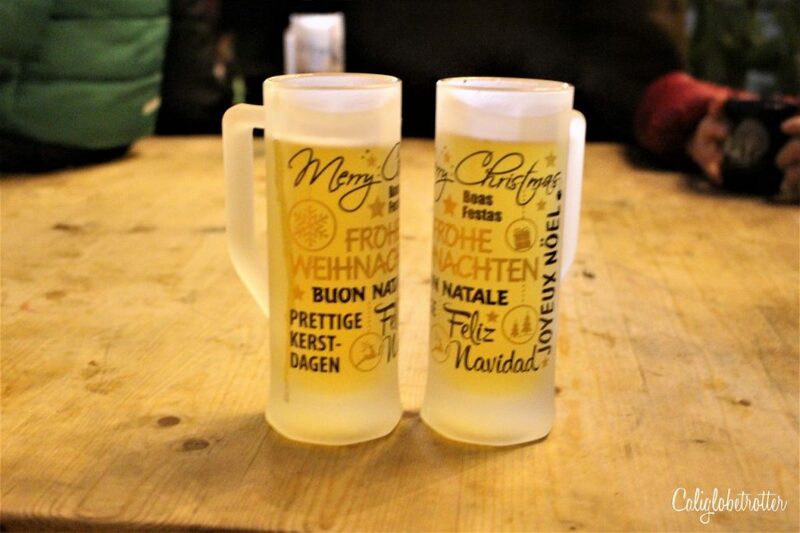 As one of the most unique Christmas Markets in Germany, it is only fitting that the Weihnachtsmarkt am Kuchlbauer Turm also has unique in gifts, food and drinks! 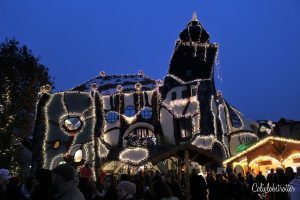 Abensberg is also a wonderful day trip from Munich as it’s only about an hour north, so if you’re looking for Christmas Markets near Munich, I would say that this one is particularly worth the drive. 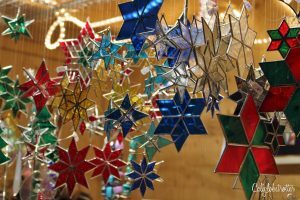 It’s definitely one of my absolute favorite Christmas Markets in Southern Germany and we generally try to visit every year, as it’s only a 30 minute drive from Regensburg! But, who is Friedrich Hundertwasser? This little village is different from other little villages as it combines both historic buildings with new, modern architecture. Thanks to an artist from Vienna, Austria with a creative vision, Friedensreich Hundertwasser who came to this quiet little town and designed the now famous tower named after him, the Hundertwasserturm. Born as Friedrich Stowasser, he would later adopt the name Friedensreich Regentag Dunkelbunt Hundertwasser which translates to something more like “Peace-realm”, “Rainy Day”, “Darkly multi-colored”, “Hundred Water”. For a little change, if you’re wondering what to drink at a Christmas Market instead of drinking a traditional Glühwein, try a Bratapfel Glühwein, which translates to Roasted Apple Malted Wine and it was damn good! It tasted more like a hot Apple Cider than a Glühwein. 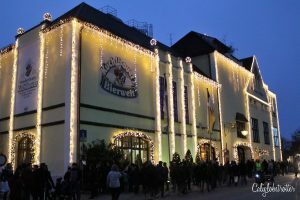 Throughout Advent guided tours of Kuchlbauer’s Bierwelt take visitors around the brewery and up to the top of the tower followed by a beer tasting session with a half liter of beer and a pretzel included all for €12 per adult, €5 per child aged 6-15, €8 Euro for young adults or €26 for a family ticket. Just to the left of the brewery is another very interesting looking building, which looks more like a fantasy drawing from a Dr. Seuss book, however this Kunst Haus (Art House) is dedicated to the life of Friedensreich Hundertwasser and his artwork making this Christmas market especially loved by those with children! 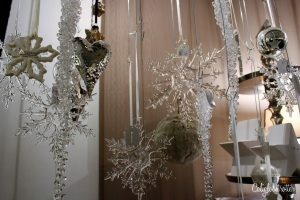 To add to the one of a kind uniqueness that is Kuchlbauer’s Christmas market, is that some of the market extends into a heated, decked out parking garage where vendors make the most of a parking spot or two. The gifts here range from your traditional decorations, to wooden hand-carved gifts, antique memorabilia and much much more! 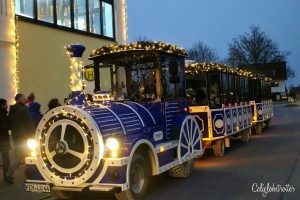 One of the most magical qualities that this Christmas market has is that there is a very awesome looking train to take visitors from outer parking lots to directly in front of the brewery. 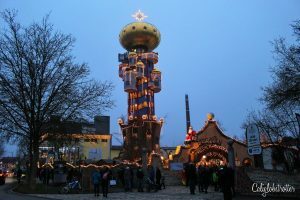 I have yet to see any other Christmas Markets in Germany that have a Christmas train, although there are other towns in Germany that have them on a regular basis, so I’m wondering if they have them at Christmas too. 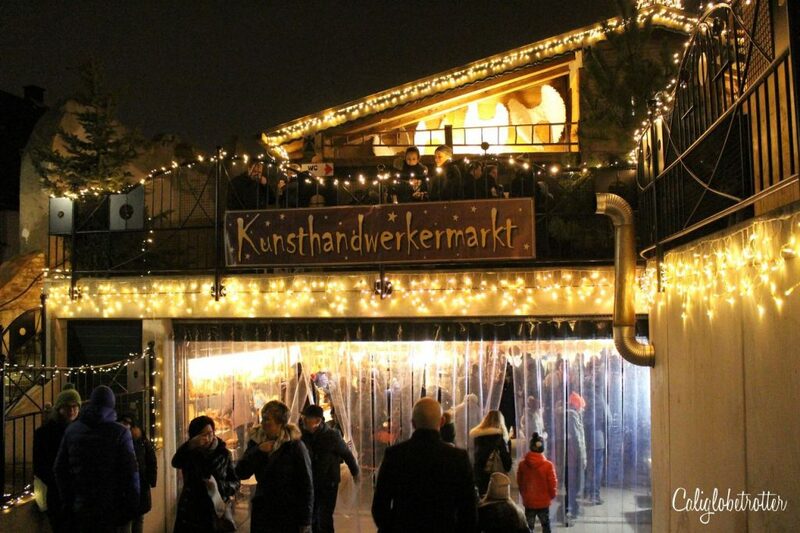 The Christmas Market is open from the first Advent to the last Advent Sunday.